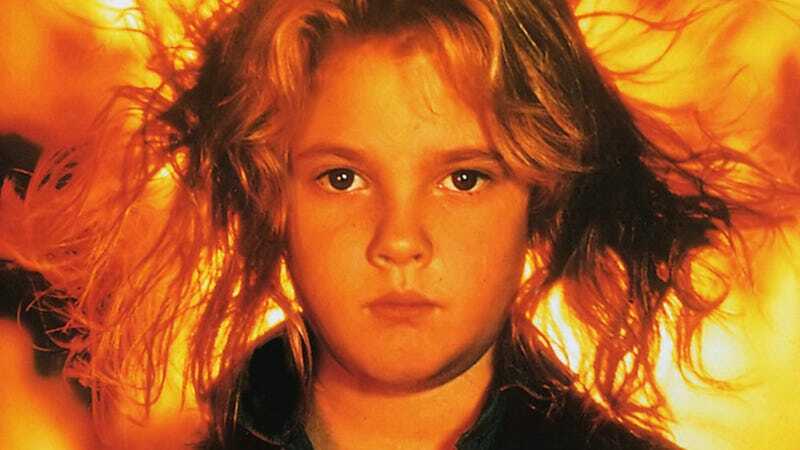 Drew Barrymore, striking an iconic pose in the 1984 version of Firestarter. Every studio in Hollywood is currently chasing the success of It and trying to push its Stephen King titles forward, hence the current King mania. So Warner Bros. has It: Chapter 2 already filming, and it’s also prepping Doctor Sleep. Paramount is filming Pet Sematary. And according to Variety, Firestarter just so happens to be the Universal-owned property that’s the most ready to go.